With the illusion of four shades, each with a varying design, merging into one, this fantastic fitting claims its name 'melting pot'. 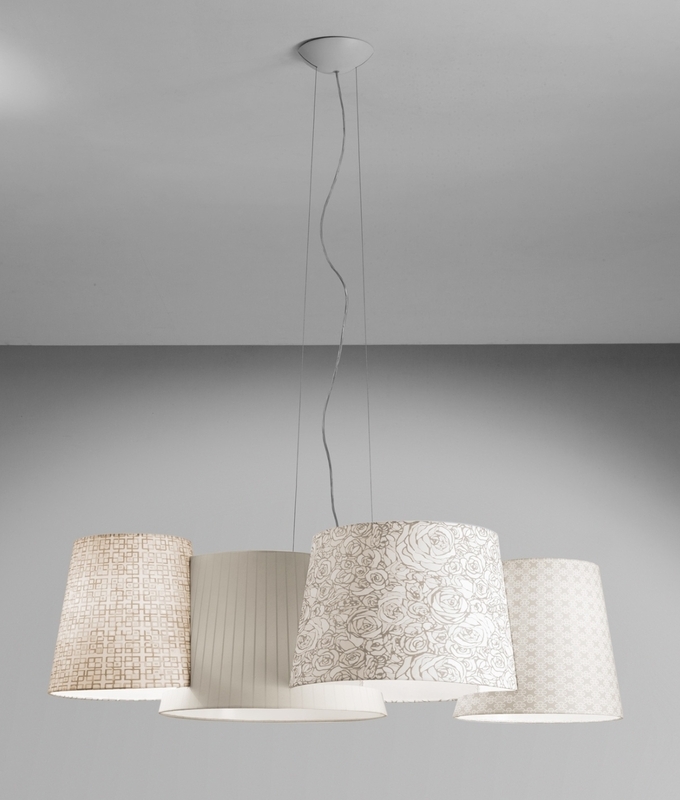 A truly inspirational remake of a common cluster pendant, this is interesting, intriguing and ultra stylish. Available in a choice of two finishes. Choose from dark tones with a gold interior or white shades with a white interior. Great for reflecting light downwards and lighting the area below. 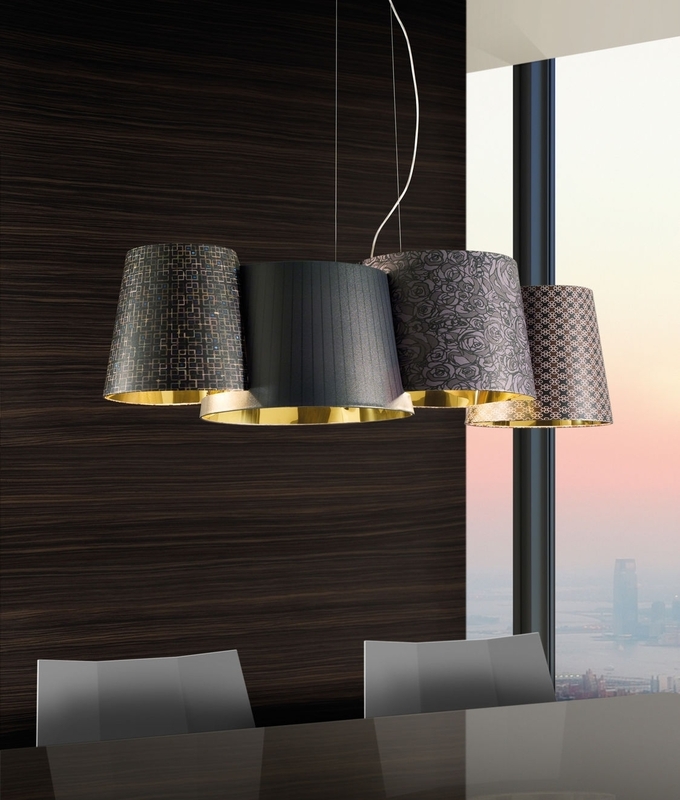 With a maximum suspension of 3300mm, which can be adjusted at time of installation to suit varying ceiling heights. Perfect installed in dining rooms above tables or kitchen islands but equally suited to a commercial environment such as hotels or restaurants. Designed for E27 base main lamps up to 70 watts. Can be used with LED lamps if preferred.